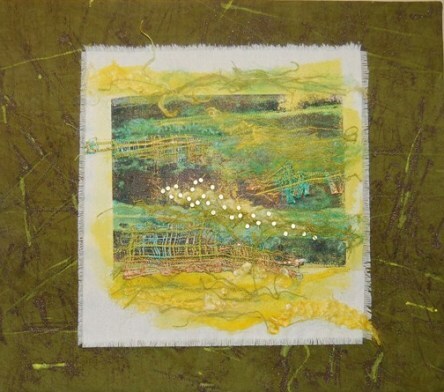 Welcome to the official website of fiber artist Lu Peters. 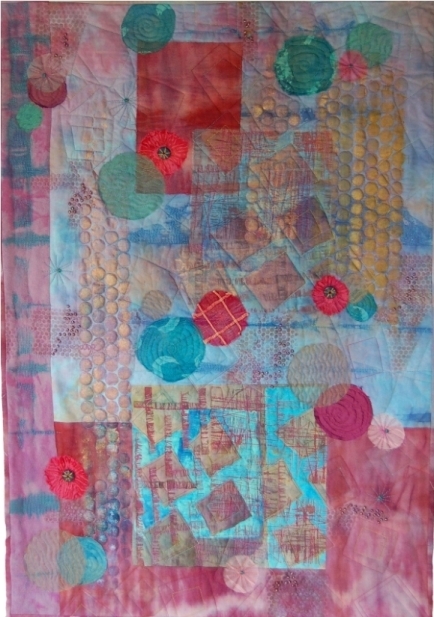 This website is intended to educate and inspire fiber artists from all disciplines and backgrounds. The most popular feature of the site is Lu’s extensive collection of booklists and resource lists. You can also find information by fiberart subject area, using the sidebar links on the right side of every page. A gallery of Lu’s work, work featured in publications, up-coming events, fiberart shows, fashion exhibits, and museum reviews are also included. Please contact Lu if you have any suggestions or additions that you would like to see on the site. Lu’s work is included in the newly released book by Lesley Riley, Creative Image Transfer: Any Artist, Any Style, Any Surface, 16 New Mixed-Media Projects Using TAP Transfer Artist Paper. C & T Publishing. Lesley will be giving away free copies of her newest book, Creative Image Transfer, August 6 through August 10, 2014. You may enter to win by visiting her blog http://www.LesleyRiley.com/weblog. 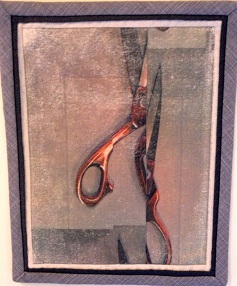 Here is a photo of Lu’s project, mini art quilt “Shear Accident”: TAP transfer on painter’s drop cloth, machine quilted. 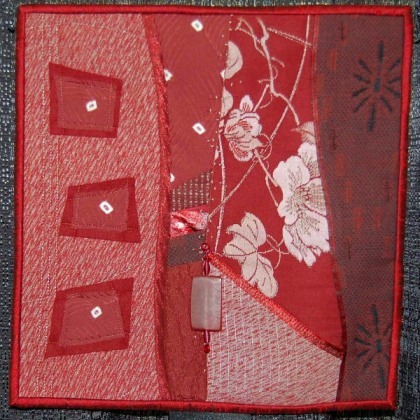 2012: Touching Fiberarts, authored by Carol Ikard and Jacque Smith, Texas Museum of Fiber Arts, Austin, Texas. Lu’s fiberart has been featured in several of this museum-without-walls exhibits, including 2008 (TX State Capitol), 2010 (Mexican American Cultural Center), and 2010 Invitational exhibit (Dell Jewish Community Center). This book is available through the Texas Museum of Fiberarts website at www.texasfiberarts.org. Newly updated booklists are coming soon. Please check back for the 2014 lists.